Refractory Linings of a rotary kiln of a industrial furnace. refractory Refraline is a supplier of a wide range of refractory products as well as a wide range of general engineering applications. Refractory Cement for coolers, furnaces, rotary kilns, etc. To be the recognised leader in Refractory Engineering, Refractory Maintenance, Refractory Installations and Contract Maintenance in Sub-Saharan Africa. 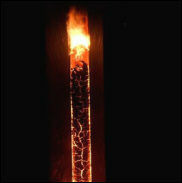 Refractory lining in the steel industry.